Atonement screened on television last night and I'm annoyed with myself for forgetting to record it. Not that I thought it much more than a proficient movie, but because I needed to see this gobsmackingly gorgeous dress again. 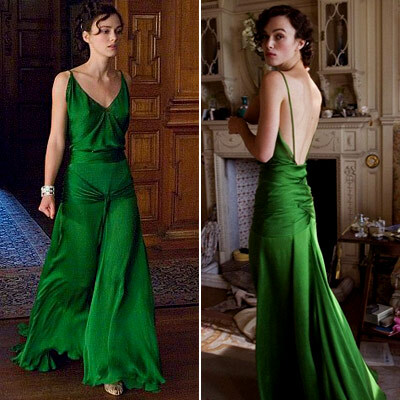 The Keira Knightley character Cecilia wears it to lurk seductively in the library, and its full lusciousness is only apparent when the body inside it is moving. I'm not the only one whose mouth dropped open at the sight. It and any number of frocks claiming to be replicas are all over the internet. None of them, though, seem able to reproduce the exact wicked green of the original. A survey for Sky Movies and British InStyle a few years back rated the dress top of the film costume list. 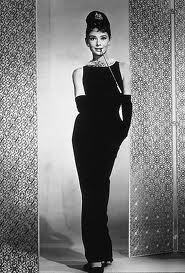 Following it, came the white dress worn by Marilyn Monroe in The Seven Year Itch; the little black dress worn by Audrey Hepburn in Breakfast at Tiffany’s; the skin-tight pants worn by Olivia Newton-John, in Grease; the blue gown worn by Kate Winslet in Titanic; the tie and waistcoat combination worn by Diane Keaton in Annie Hall; the satin corset worn by Nicole Kidman in Moulin Rouge; the stockings and bowler hat worn by Liza Minnelli in Cabaret; the gown worn by Cate Blanchett in Elizabeth; the dresses worn by Vivien Leigh, in Gone with the Wind. Aside: has anyone watched Seven Year Itch lately? It is a very weird movie. The dress is the best thing in it.